6705 West Lafayette Avenue in Detroit, Michigan probably doesn’t mean much to the average reader of this blog, but for thousands of Armenians from Detroit dating back to the 1940s, this address was a part of their rich past they will never forget. This was the address of the Findlater, also known as the Armenian Community Center. A focal point for the Armenians living in the 1940s through the early 1960s. 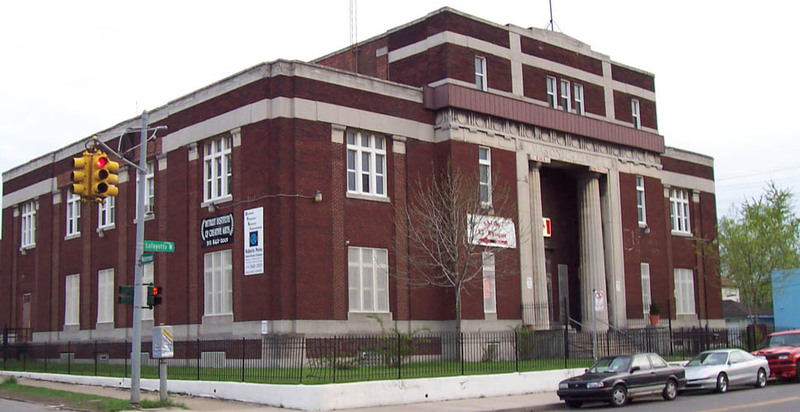 The Findlater was not only a gathering hall for Armenian youth groups, coffee hour, meetings and dances, but it was the site of one of the first Armenian church services in the Detroit metro area. The Findlater as it appears today as a dance hall. Some of the finest musicians performed at the Findlater and if the building could talk (yes, it is still on Lafayette!) I am certain the memories would be phenomenal. 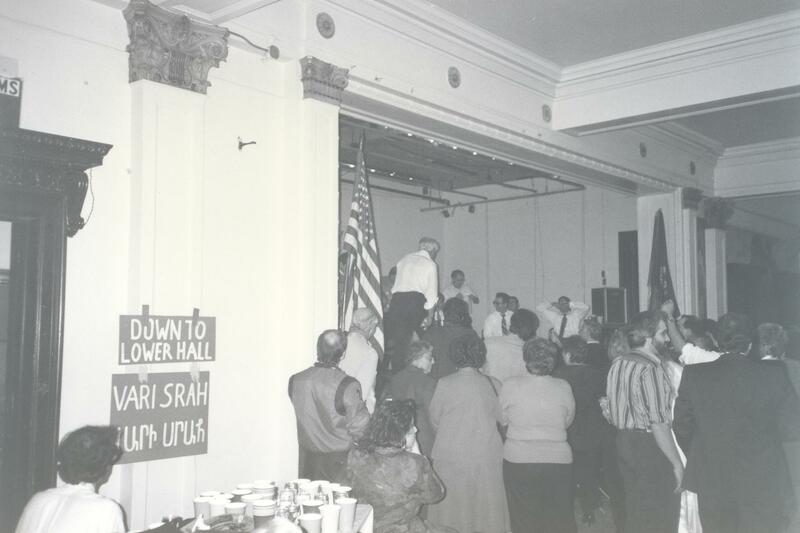 A scene from November 23, 1990 with a packed hall of Armenians dancing the night away. I remember in 1990, a reunion of sorts occurred through an organized effort simply called: The Findlater Dance. It was held on November 23, 1990 and Armenian music was provided by the Hachig Kazarian Ensemble along with appearances from Adam Manogian (dumbeg), John Sarkisian (dumbeg), Kelly Kuchukian (oud), Eddie Arvanigian (vocals), Kazar Kazarian, (percussion), Andy Shamelian (sax), Simon Javizian (vocal) and many others. I even sat in playing tambourine. It was a great night of fun and music and I enjoyed listening to the ‘elders’ talk fondly about their old home. When the music roared, the wooden dance floor shook. In my forthcoming film documentary, we will take a trip back to the Findlater and talk with some of the musicians that performed there and what it was like playing in this hall.